Laguna Hills, Calif. – January 25, 2018 – Ford Motor Company is recalling close to 2,700 2019 Lincoln Nautilus luxury SUVs due to issues with advance driver assist systems that govern the vehicles’ steering control technology. The 2019 Nautilus has been presented by Ford as a refreshed version of the MKX SUV, with a choice between a 2.7-liter V6 turbo or a 2.0-liter four-cylinder turbo engine. The 2019 model also replaced the six-speed automatic transmission with an eight-speed one, turning the vehicle into a more powerful choice for drivers. According to CNET, the problem is related to software responsible for regulating the vehicle’s advanced driver assist systems. The vehicle may not detect if the driver is touching the steering wheel during time periods when the lane-centering system is activated. If there is a need for the driver to return their hands to the wheel, the system may fail to notify the driver to do so, which could increase the risk of a crash. 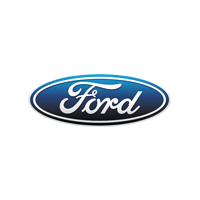 All the recalled vehicles were built at Ford’s Oakville Assembly Plant between Sept. 5 and Nov. 19, 2018. Most of the vehicles affected are located in the U.S., though a few hundred are in Canada. Ford is thus far unaware of any accidents or injuries related to this defect. This is the second recall to affect the 2019 Lincoln Nautilus. According to Consumer Reports, last December Ford recalled certain 2019 Nautilus vehicles that were not equipped with Adaptive Front Steering due to a plastic cover on the driver frontal air bag module which had the potential to detach during air bag deployment. Fixing the problem will not require any replacement hardware. Owners will be notified and instructed to take their vehicle to an approved dealer, where technicians will reflash the software in the power steering control module. This will reset the ADAS system to provide the correct level of hands-off detection when in use. Owners may contact the National Highway Traffic Safety Administration Vehicle Safety Hotline at 1-888-327-4236 (TTY 1-800-424-9153), or go to www.safercar.gov. The reference number for this recall is 19S02.